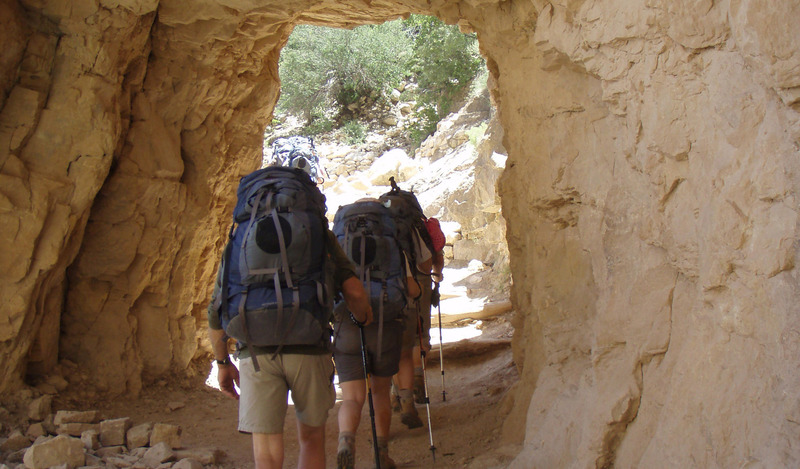 The South Kaibab to Bright Angel Loop backpacking trip is among the most popular Grand Canyon hikes. (Kaibab is pronounced KY-bab where KY rhymes with Eye and bab rhymes with cab – for those of you who aren’t big on sounding like a tourist). 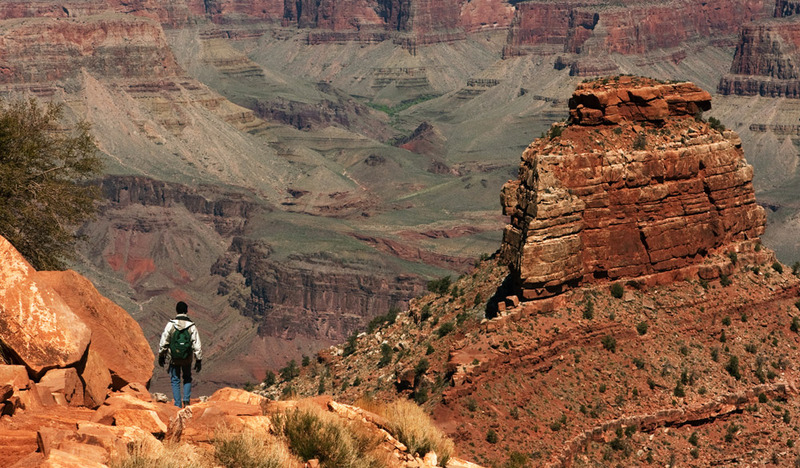 Hikers are surrounded by breathtaking views as they venture down the South Kaibab Trail to the bottom of Grand Canyon, crossing the Black Bridge that hovers above the Colorado River, laying on Boat Beach along the Colorado River, visiting Phantom Ranch and much more! This also is a great hike for most months of the year. This is a great trip for the first time backpacker in good physical condition as well. But because it is one of the most popular hikes, utilizing 2 of the most popular trails in Grand Canyon – South Kaibab and Bright Angel trails, you can expect to see 100s of people over the course of your trip. If you want a lot of “you” time, this may not be the trip for you. This trip is great for the first time backpacker that has an above average level of fitness. You are hiking the main trails of the canyon where there are amenities at most campsites such as toilets, running water and even a canteen at Phantom Ranch where you can buy a lemonade or a Snickers bar! 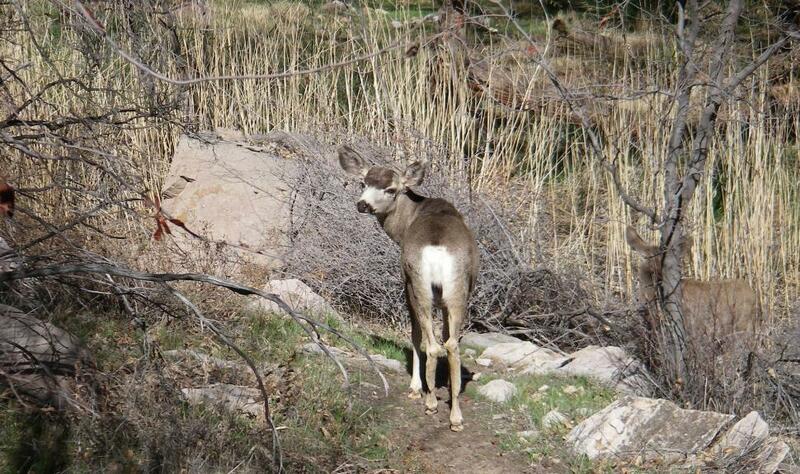 These trails are also well maintained and considerably wider than most other trails in the canyon – over 6 feet wide in most places. 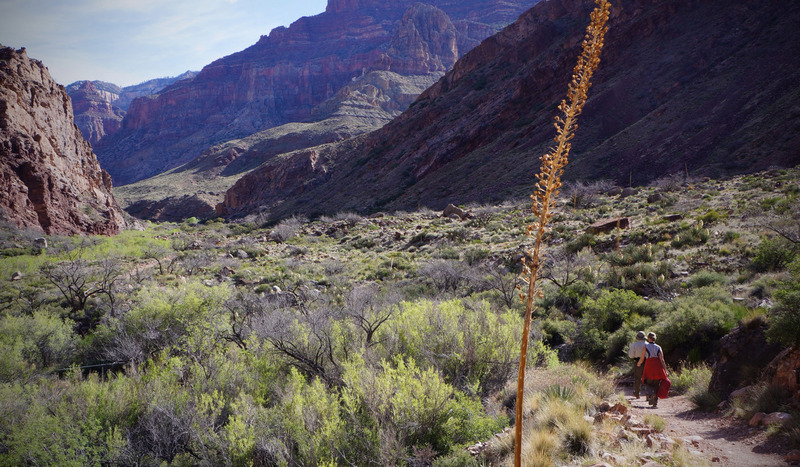 * Plus, the South Kaibab to Bright Angel hiking trip is one of the two trips you can do in the summer months (June through August) since there is ample shade, water and creeks to stay cool and hydrated. 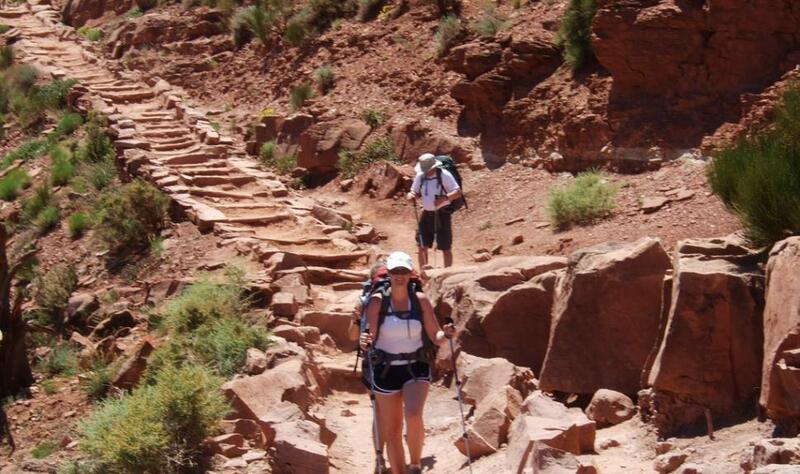 AND, with our outfitting services for your Grand Canyon backpacking trip, your experience will be more enjoyable as we will do the footwork for you. Click here for more information about JRI’s outfitting services. **Spoiler Alert** If you are looking to experience Grand Canyon and all its amazingness without 100s of people, this is NOT the trip for you. You will be on the trails with 100s of other hikers – especially during the peak months of March through early June and September through mid October. Plus, Bright Angel camp and Phantom Ranch can cater to 200 people per night. Popularity + amenities = lots of people! Need more information about the trails? Click the below links for the official South Kaibab and Bright Angel Trail descriptions from Grand Canyon National Park. *Please note: Due to the high demand and limited supply of permits available for the South Kaibab to Bright Angel camping areas, we recommend having flexibility in your dates and open to alternate camp areas. We also recommend planning this hike at least five months in advance. If you would prefer a hike with fewer people, we can help you plan that as well! Once you arrive at the trailhead on the South Rim, you begin your hike down the South Kaibab Trail, which is 7 miles (11.3 km) and 4,800 ft (1463 m) to Bright Angel Campground. Unwind at the campsite or grab a drink at the Phantom Ranch canteen – one of the favorite hangouts among canyon hikers. The hike down the South Kaibab Trail to the bottom takes about 5.5 hours. On the second day of this itinerary, there are several side hike options. The most popular choice is a 12-mile (19.3 km) round trip hike to Ribbon Falls along the North Kaibab Trail. Looking for some R & R? Many hikers to use this time to relax, like kickin’ it on Boat Beach or explore the surrounding area. Either way, it is a free day from carrying your large pack. After a full day at the bottom of the canyon, start your hike to the South Rim along Bright Angel Trail, reaching Indian Garden to camp for the night. 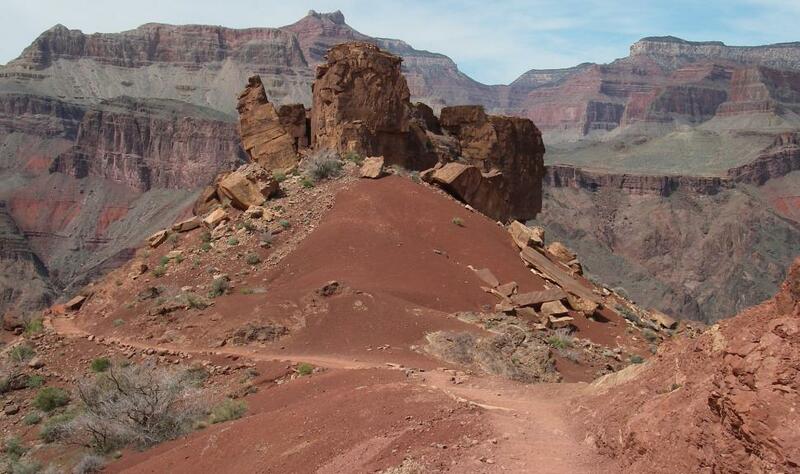 The hike takes you 1,400 ft (426.72 m) up in elevation to camp and possibly side hike to Plateau Point. You will enjoy a stunning sunset, extensive panoramic views miles wide from the inner canyon and down to the Colorado River. Onward and upward! Hiking out of the canyon is a 4.5-mile (7.24 km) hike with a 3,000-ft (914 m) increase in elevation along the Bright Angel Trail. The average hiking time to the top is 4.5 hours. Breath a bit when you get to the top and count all the tourists hiking in flip flops, white pants or even heels.